So. Valentine’s Day. It’s a holiday that evokes pretty polarizing response. You might believe that it’s a commercial scam perpetuated by Big Hallmark—or you might enjoy the opportunity to share your affection for loved ones. Either way, it’s a truth universally acknowledged that stores will sell chocolate for ~super low prices~ on February 15th. Another truth? 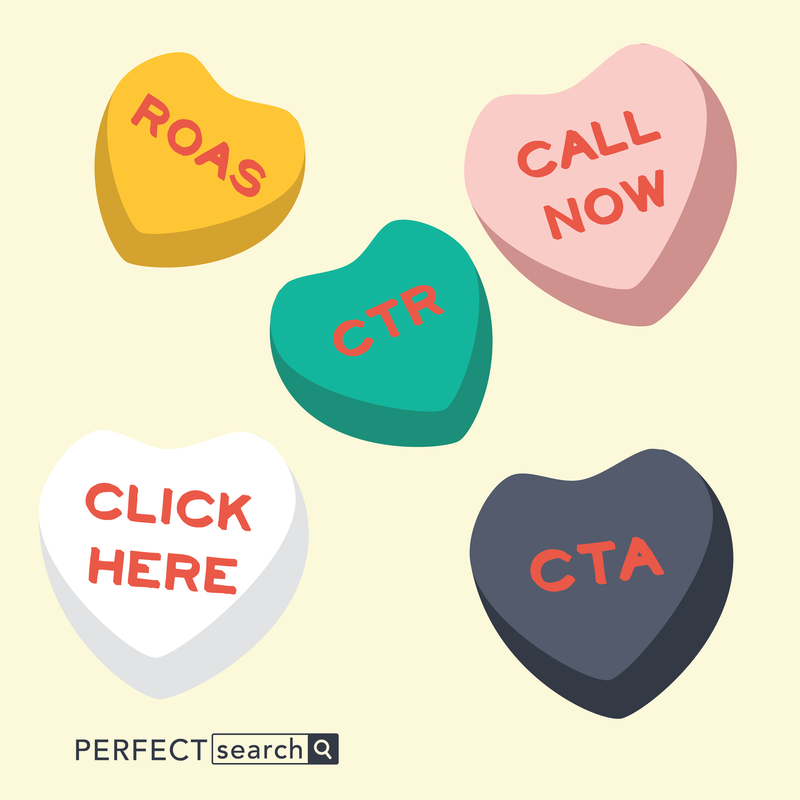 It’s surprisingly easy to come up with digital marketing valentines. So we went for it. Check out our digital marketing valentines—and don’t forget to share them with your V-Day bae (or, you know, your coworkers)! Valentine #1: Conversation (ahem, conversion) hearts. Valentine #2: A relationship status code. Valentine #3: A perfect match. Valentine #4: Longtails & cocktails. Valentine #5: Roses are red, click here. Valentine #6: Shopping around for a valentine. Valentine #8: Yep, we went there. Valentine #11: The important metrics. Valentine #12: Are you impressed yet? Valentine #13: Best date ever. 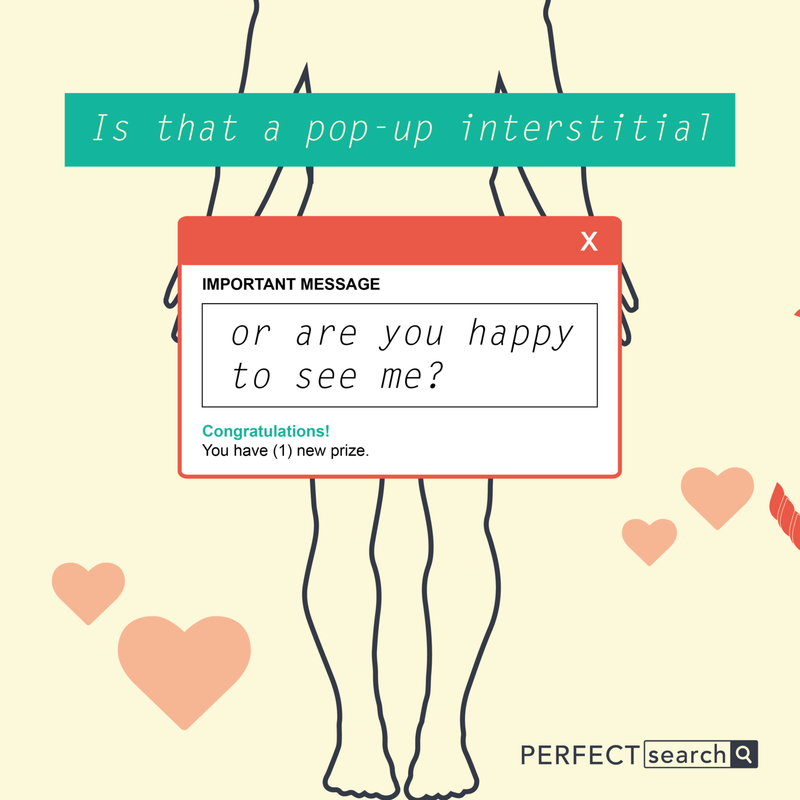 Valentine #14: Step aside, mobile-first index.